Based on an image of a crater viewed from space, the Crater Mirror by Porta Romana features an organic outline with a craggy texture that overlays onto the mirror glass. The layered finish is applied by hand by in-house artists. The piece is brought to life in the workshop and combined with specially selected materials to create a unique foundation. The muted, cement coloured tones are complemented beautifully by metallic highlights. 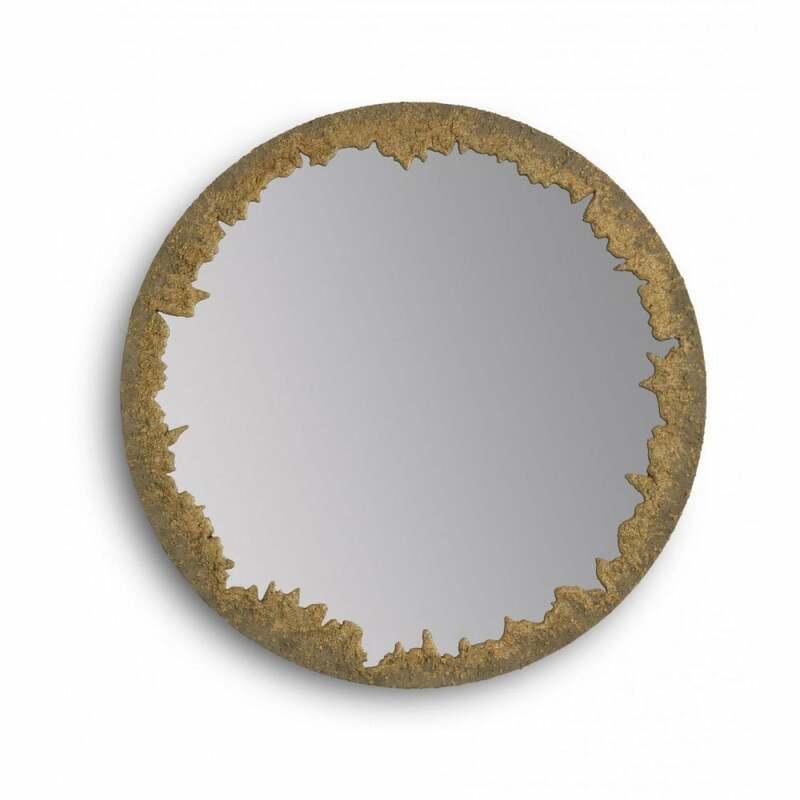 This bespoke mirror will make a statement in any interior scheme whether modern or traditional. Get in touch with our team for more information.